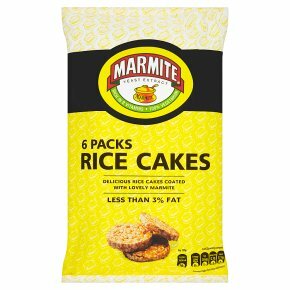 Delicious rice cakes coated with lovely Marmite. Less than 3% fat. Rich in B vitamins. No artificial preservatives, colors or flavours. 100% vegetarian.